Chromedge Studios is the newest addition to the Franklinton Arts district housing 30 studio spaces with artists of all backgrounds as well as a 2,500 sq. ft. Photo Lab on the second floor. Chromedge Studios aims to add more creative energy to an already dynamic environment. A hub of creative activity, our artists range from sculptors to painters and everything in between. Our Photo Lab offers 2,500 sq. ft. of open floor space for any production size. 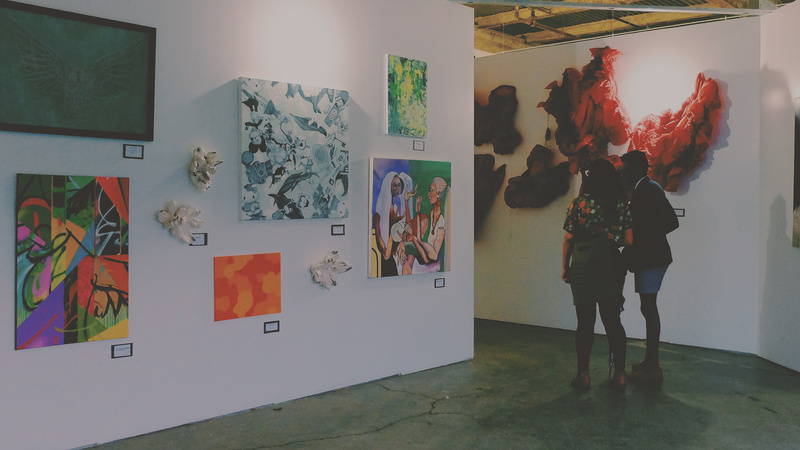 In collaboration with 400 West Rich, our artists offer a wide array of art workshops for any skill level. Our monthly open house, Franklinton Fridays, falls on the second Friday of the month. It's a twenty-four hour space that you can tailor to your needs. To me it's my second home. Be the first to know about our events, exhibits, workshops and more! We guarantee to honor your privacy and not spam. 400 West Rich is our neighboring project with over 100 additional artists studios, the award winning restaurant Strongwater Food and Spirits, and its large event space. Want to join our community or learn more about us? Drop us a line with any questions you might have!